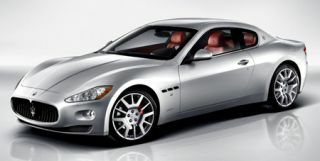 Maserati teams up with Bowers & Wilkins | What Hi-Fi? Italian sports car maker Maserati has chosen speaker specialist Bowers & Wilkins to develop a new in-car sound system for its 2013 models. Announced at the Paris Motor Show by Maserati CEO Harald Wester and Bowers & Wilkins executive vice-president Evert Huizing, the 'long-term' partnership will work both ways as B&W will also be able to produce a range of co-branded audio products such as loudspeakers and headphones. “If you look at the values the companies have in common, the partnership makes perfect sense,” Wester said. “Both Maserati and Bowers & Wilkins have a proud heritage of traditional craftsmanship and engineering excellence. Both have a real commitment to innovation. And both continue to set benchmarks for performance and design in our industries." To support the partnership, Maserati and B&W will launch a range of brand activities including a microsite, films and a series of events in cities around the world. The centrepiece of the campaign will be Seven Notes, inspired by the seven distinct notes produced by all Maserati car engines. These engine notes have been used to create a series of exclusive tracks, composed and recorded by musician and producer Howie B (who has worked with U2 and Björk) at Abbey Road Studios in London. The tracks are available to download for free in high-definition audio from www.sevennotes.com. In the past, B&W has developed in-car audio systems for the Jaguar XF and XJ saloons.